With its intoxicating scent, wands of gorgeous purple flowers, and handsome foliage, lavender is one of the world's most popular herbs. Lavender expert Sarah Bader introduces readers to 100 Stunning varieties - from the continuous blooms of deep purple 'Buena Vista' to the incredible fragrance of 'Grosso'. 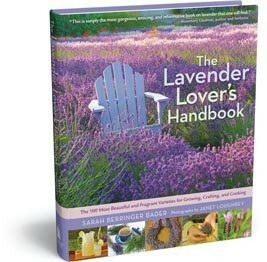 The Lavender Lover's Handbook is an essential resource for finding the best varieties with a complete checklist of the color, fragrance, size, and foliage of each plant. 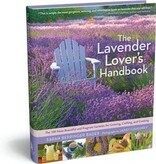 Whether you want to create a fabulous garden, a dramatic border, or an exquisite herb garden, this rich primer gives easy, proven tips for growing, harvesting, drying, cooking,and crafting with this wonderful herb.